Poland’s reluctance to engage in EU defence cooperation and efforts to snub European defence companies are reducing its potential to emerge as a significant force in European defence. Political and personal considerations largely drive Polish leaders’ scepticism of EU attempts to develop genuine defence cooperation. Much of the EU perceives the Polish government as needy, demanding, and lacking in solidarity, as well as often in violation of the rule of law. Defence is one area in which the government could offset some of these negative perceptions, by demonstrating its commitment to one of the signature initiatives of the EU. For Poland, the risks of European defence cooperation are real, but the dangers stemming from a failure to cooperate are greater. After decades of relying on the United States for protection, the European Union’s member states are finally moving towards greater defence integration with one another. The European security environment has become unstable in recent years, due not least to a series of terrorist attacks in Europe’s major cities and the activities of a belligerent Russia – which invaded Ukraine and has sponsored disinformation campaigns and radical parties that attempt to undermine the liberal democratic order on the continent. Transatlantic relations are still the cornerstone of European security, and will remain so for years to come. But the US has significant problems outside Europe, viewing its main security challenges as being in parts of the world such as East Asia and the Middle East. EU member states have for some time had compelling reasons to strengthen their self-reliance and capacity to defend themselves. Nonetheless, in the decades since the establishment of the Common Security and Defence Policy, they have engaged in little defence integration. In fact, their cooperative defence efforts even declined during this period. However, the EU and its member states now seem truly committed to addressing the deterioration of their security environment by working together. In response to multiple security challenges, France and Germany proposed in 2016 a joint white paper on the development of EU defence integration. The document served as the basis for a European Commission proposal that, by late 2017, had led to the establishment of the European Defence Fund, as well as permanent structured cooperation (PESCO) – an initiative that includes, among other measures, mechanisms for boosting the European defence industry. In short: the momentum is there. As Europe moves towards an integrated defence policy, one of the key questions to emerge from this process concerns the role of countries formerly in the Soviet bloc. Among these states, Poland has the largest population, defence budget, and domestic industrial base. However, Poland was conspicuously excluded from the September 2016 Franco-German proposal to create an EU defence union – even though, only a few years earlier, Warsaw joined Paris and Berlin in pushing forward the idea of PESCO. Poland’s exclusion is mostly self-inflicted, caused by its turn inwards and the deterioration of its relations with most EU member states, including France and Germany, since the election of the Law and Justice party (PiS) in autumn 2015. In addition, the Polish defence sector has been poorly integrated with the mainstream European defence industry. This paper assesses Poland’s attitude towards EU defence initiatives, including both Warsaw’s policy on a defence union and the prospects for the “Europeanisantion” of the country’s defence industry. Although media coverage of it focused on the decades-old idea of setting up a headquarters for planning EU operations, the September 2016 proposal also called for joint defence procurement and acquisition of strategic capabilities. The latter initiative is likely to provide a major boost to European defence integration, which had been progressing even before the announcement. The European Commission responded to the initiative by launching in November 2016 the European Defence Action Plan, which is essentially a package of measures that include the creation of the European Defence Fund. The fund is meant to improve collaboration among European defence industries by providing resources that stimulate research and encourage the joint development of defence capabilities. Launched in December 2017, PESCO stimulates European defence efforts by nudging states that sign up to the initiative towards greater cooperation with one another. As part of the arrangement, states commit to increasing their defence spending and may even be suspended from the initiative if they fail to do so. Moreover, PESCO encourages states to engage in large-scale procurements in collaboration with other participants in the initiative, stipulating preferential treatment for European defence companies and thereby driving cross-border industrial collaboration. Progress on EU defence integration was at best rather slow until 2016, but it has accelerated since then – and the resulting momentum is likely to be sustained in the coming years. The main reason for this is geopolitical. The EU’s security environment has deteriorated as rising conflict on Europe’s southern border has brought terrorism to European cities and spurred large-scale migration into EU states. At the same time, Russian activity in Ukraine and persistent tensions on Europe’s north-eastern frontiers – not least those stemming from incidents in European airspace – have exacerbated instability on the continent. All of this has changed EU states’ threat perceptions. While Europeans remain divided in their views of what constitutes a threat to their security (most are more afraid of terrorism and immigration than of Russia), their overall sense of vulnerability has grown. The growing belief that Europe can no longer fully rely on the United States for protection only compounds this unease. Even German Chancellor Angela Merkel, normally known for her caution, has expressed this sentiment. In fact, the US began to pivot away from Europe under previous American administrations. But it was the arrival of Donald Trump as president – with his open disrespect for transatlantic ties – that made Europeans aware that their days of excessive reliance on the US were coming to an end. These factors have combined to halt the decline in EU defence spending evident in recent decades. Between 2005 and 2015, EU member states’ collective military expenditure decreased by 11 percent, to €200 billion. On average, Europeans were spending only 1.4 percent of GDP on defence, despite multiple commitments to spend no less than 2 percent of GDP. By comparison, in 2015, Russia spent 5.4 percent of GDP on its armed forces. In 2017, the trend in Europe changed: EU defence spending rose by 4.3 percent, albeit with only a handful of European NATO states – Poland among them – meeting the Alliance’s target of spending 2 percent of GDP on defence. The United Kingdom’s decision to leave the EU has complex implications in this context. Although Brexit will remove the greatest sceptic of European defence cooperation from the equation, it will also remove one of the EU’s greatest military assets. Nonetheless, the UK’s departure should motivate the remaining 27 member states to ramp up their defence efforts. Having begun following the end of the cold war, the integration of European defence industries is likely to accelerate in response to these new conditions, allowing EU member states to spend more on procurement in the coming years. Meanwhile, the EU Commission will work to boost defence research through the development of joint capabilities. The launch of PESCO provides structural backing for these processes. Moreover, the largest EU member states, including Germany and France, are now in favour of applying the community method to defence integration. Yet not all member states are well positioned to benefit from the new dynamic. Poland, which has for decades consistently spent more on defence than most other EU countries (as a proportion of GDP), is on the brink of wasting momentum that could help its defence industry grow. Under the government in power between 2008 and 2015, Poland acquired a reputation as a Europhile nation quickly catching up with the rest of the EU. During this period, Warsaw’s enthusiasm for the EU extended to defence, prompting it to join Berlin and Paris as one of the main sponsors of defence integration. The Polish government advocated the development of PESCO and a planning headquarters for EU operations. Warsaw also signed up to Eurocorps and participated in numerous EU operations in areas from Africa to Georgia. However, since the election of the Eurosceptic PiS government, Warsaw’s attitude towards European defence initiatives has been at best lukewarm and on occasion openly hostile. The lack of integration between Poland’s defence sector and mainstream European defence industry is mostly the result of three factors: the country’s failure to reform its domestic defence industry; overwhelming preference for a closer defence relationship with the US; and lack of an industrial strategy, which has persisted under all Polish governments since 1989. Three decades after the fall of Poland’s communist government, state-owned companies that have scarcely undergone reform continue to dominate the country’s defence sector. There are some notable exceptions to this trend, such as the privately owned WB Electronics, which produces drones and advanced communications systems that successfully compete on international markets. Another exception is Remontowa Shipbuilding, which has turned a profit since becoming a listed company in the 1990s and subsequently undergoing restructuring. However, the vast majority of defence production in Poland is in hands of the state-owned Polish Defence Holding (PGZ), one of the largest defence groups in Europe. It comprises more than 60 companies and employs almost 18,000 people – with its subcontractors employing another 30,000. Its annual turnover of 5 billion zloty (around €1.2 billion) may not be impressive for a group of this size, but it is one of the largest in Europe. Nonetheless, PGZ is a giant with feet of clay. It produces almost exclusively for the domestic market. In 2016, a relatively successful year for the firm, PGZ exported goods worth a meagre $100 million (around €84m). Its research and development programme remains poor, while some of its signature products, such the T-72 tank – no longer manufactured but under consideration for modernisation – are based on Soviet-era technology. This is not to say that all PGZ products are outdated. The group is a diverse holding that includes some competitive companies, such as Huta Stalowa Wola, which produces the Crab self-propelled tracked howitzer and is developing the new Borsuk infantry fighting vehicle. Both of these vehicles are technologically advanced and complex. They are also products of successful cooperation with international partners; for example, the Crab contains components manufactured by Korean firm Samsung and British company BAE. PGZ’s shipbuilding arm also produces some technologically complex equipment, such as the Kormoran-II mine countermeasures vessel, one of the most advanced ships of its kind. However, weaknesses stemming from PGZ’s ownership structure undercut the group as a whole. It is not only state-owned but also managed by its main customer. Since coming to power, the PiS government has transferred ownership of PGZ from the Ministry of Treasury to the Ministry of Defence (MoD). This has merged the roles of buyer and seller, killing off whatever competitive instruments remained in the system. As a result, the MoD now has a direct interest in ensuring that PGZ has enough orders to occupy it workforce and maintain its operations. Armed with this knowledge, the group no longer has to fear competition or invest in research and development. In this context, PGZ abandoned its plans to develop a new tank and the MoD subsequently placed a large order for supposedly modernised T-72s. The MoD’s takeover of PGZ also created fertile ground for cronyism and political corruption, potentially turning the industry into a fiefdom of Antoni Macierewicz – a deputy leader of PiS who has strong links to the right-wing Radio Maryja, and who was recently dismissed as minister of defence. As head of the MoD, Macierewicz had the discretion to make appointments to numerous highly paid positions on the group’s management staff and executive boards. Macierewicz’s most notorious appointment came in April 2017, when Bartłomiej Misiewicz, his former assistant and a political loyalist, joined PGZ’s executive board. At the time of his appointment, Misiewicz was 26 and lacked a university degree. The rule stipulating that no person without a degree could serve on the board was changed the night before he took up his new position. Due to the media storm created by the appointment, Misiewicz was forced to resign from this lucrative post. Yet there have been many other cases in which political loyalty appears to have been rewarded with a highly paid role at PGZ. With the departure of Macierewicz, PGZ seems likely to fall under the supervision of Prime Minister Mateusz Morawiecki, which would improve the company’s prospects. Nonetheless, PGZ has been treated as a vehicle through which politicians enhance their positions and support base. Although state-owned industry’s resistance to change and dependence on politics is typical of post-communist nations, these problems occur on an unusually large scale in Poland. The strong pro-US preference of the Polish establishment further reduces the prospects for cooperation with European industry. Poland’s strong tendency to favour US suppliers in military procurement and acquisition processes limits opportunities to develop the country’s domestic industry. For strategic reasons, many European nations have maintained “buy American” defence procurement policies. For example, Germany and Italy had such policies until at least the end of the Cold War – and used the resulting injection of American technology to develop domestic industrial capacity. Outside the EU, Israel has been so effective in adopting and perfecting US missile technology that it has by many accounts produced equipment surpassing the American originals. However, these dynamics are not yet apparent in Poland, where there seems to be no overall plan to turn the “buy American” policy to the country’s strategic advantage. Pro-US bias is a bipartisan phenomenon with deep historical roots. Under the Democratic Left Alliance (founded on the remnants of the communist party), Poland sided with Washington over the 2003 US-led invasion of Iraq. It was also under this government that Poland purchased 48 F-16s in 2002, the largest procurement order in the country’s history. Moreover, Warsaw declined an offer to purchase Mirage 2000 jets from French firm Dassault Aviation, even though the offer included provisions for a significant transfer of technology to Poland’s defence industry. In contrast, Hungary and the Czech Republic opted to procure the BAE Systems/Saab Gripen. In this way, the pattern of defence industrial cooperation split across central and eastern Europe. The Czech Republic, Hungary, and Slovakia attracted more interest from European companies such as Saab and BAE, which were exploring opportunities for cooperation with domestic industry in these countries. Poland also acquired a degree of interest from European companies such as Airbus and AgustaWestland, but started to develop a reputation for favouring American contractors in its large-scale defence orders. In 2013-2014, the ruling centrist government announced a technical modernisation plan for the defence sector. The cost of the initiative was initially estimated to be $15 billion, but this has since grown to more than $20 billion – and will likely continue to grow. The programme’s numerous components include missile defence systems, multi-role and attack helicopters, and even submarines. Although Poland’s domestic industry has no capacity to provide any of the major items required by the modernisation process, foreign suppliers will be forced to cooperate with PGZ, providing the group with both work and technological expertise. The other key contract under the modernisation programme involves the production and delivery of 50 multi-role helicopters. This time around, the centrist government selected Airbus’s newest product, the Caracal, which was meant to be entirely produced in the Polish city of Łódz. Under the agreement, PGZ would have received technology transfers, ownership of production facilities, and 90 percent of shares in the venture. However, the PiS government cancelled the deal, causing a diplomatic scandal that created significant tension in Franco-Polish relations and prompted the French president to suspend a planned visit to Poland. Following the cancellation of the agreement, Macierewicz declared that Poland would buy a small number of Black Hawk helicopters from American firm Lockheed Martin, without reopening the bidding. The MoD subsequently revoked this decision, announcing a new bid for an even smaller number of helicopters as part of a procurement whose details remain unclear. The debacle seemed to reflect chaos within the MoD. Tomasz Szatkowski, the deputy defence minister, argued in December 2017 that the ministry had been “misled” about an opportunity for a quick purchase of helicopters – seemingly an indirect reference to the Black Hawk procurement. Despite the disorder, the PiS government maintained its preference for working with Lockheed Martin, which has an assembly plant in Mielec, in south-east Poland. The failure of the planned Airbus investment dealt a major blow to the prospects of extending European industrial cooperation in Poland. Had the deal gone through, PGZ would have acquired a majority stockholding in a joint venture with a European defence giant. In effect, this would have turned PGZ into a fifth European pillar of the multinational Airbus operation. As a consequence of the deal’s failure, it is unlikely that the European defence industry will enlarge its presence in Poland. Indeed, Airbus has already invested in production facilities in the south-east of the country but is now reducing its holdings there. The weakness of the Polish defence sector’s links with wider European industry also stems from successive governments’ failure to formulate an industrial strategy. Following the fall of the Poland’s communist government, the defence sector went into a deep recession as the number of Polish troops shrank from 450,000 in 1989 to slightly more than 100,000 by 2010. Yet no Polish government since 1989 seems to have developed and implemented an industrial strategy for the shrinking defence sector. Although Poland’s entry into NATO and the country’s strategic bias towards the US have changed its procurement policy, the state-owned part of the sector remains largely unreformed. While Poland has experienced remarkable economic success in the last 27 years, its performance in innovation, research, and development has remained at a worryingly low level. The defence sector could become a lever of modernisation for other parts of the economy, as it has in EU states such as France, Italy, and Germany. Some Polish politicians, including the current prime minister, advocate this approach forcefully – but so far have done little to implement it. Poland is one of the few NATO nations to have maintained a steady rise in defence spending since the mid-1990s. The country’s armed forces have participated in NATO combat missions more often than most members of the Alliance, having deployed some of the largest national contingents in the conflicts in Iraq and Afghanistan. As a result, Poland is one of NATO’s only net security providers. However, Poland’s reluctance to engage in EU defence cooperation and efforts to snub European defence companies are reducing its potential to emerge as a significant force in European defence. Political and personal considerations largely drive Polish leaders’ scepticism of EU attempts to develop genuine defence cooperation. After months of criticising the launch of PESCO and dithering, Warsaw became one of the last member states to signal its intention to join the initiative. It did so with an evident lack of enthusiasm, eventually deciding to do so only to slow, and possibly even wreck, the undertaking. Thus, Warsaw signed up to just two of PESCO’s 17 projects – those for developing Software Defined Radio and for simplifying and standardising cross-border military transport procedures. Neither of these projects is at the core of the initiative, but each potentially enables Warsaw to block progress. This in stark contrast to the behaviour of the 2008-2015 Polish government, part of the avant-garde of European defence. The PiS government’s current position is an unnecessary irritant for the rest of the EU, compounding its major reputational problem among member states. Much of the EU perceives the Polish government as needy, demanding, and lacking in solidarity, as well as often in violation of the rule of law. Defence is one area in which the government could offset some of these negative perceptions, by demonstrating its commitment to one of the signature initiatives of the EU. This could be done without a large-scale investment by Warsaw: only a change of attitude is needed. Embarking on cooperation with European defence industry certainly has risks. PGZ is in no position to effectively compete against western European defence giants. In the absence of effective safeguards, a Polish company that enters into a joint venture with a larger European firm could be swept into a de facto takeover that reduces its role to that of a subcontractor. However, these risks are equally, if not more, acute in comparable arrangements with American defence companies, which traditionally keep co-production at a minimum and refuse to transfer the most advanced technologies to their partners. Poland’s experience with procuring F-16s in 2002 shows that offset provisions can be left largely unfulfilled once the order has been made. This massive procurement has had no measurable benefits for Polish defence companies. If the trends evident in late 2017 continue, it is likely that the procurement of Patriot systems from Raytheon will repeat this experience. Again, Poland’s dilemma has precedent. During the Cold War, Western European countries seeking to rearm and rebuild industrial capacity implemented “buy American” defence procurement policies. Those that did so in an intelligent fashion developed a strong industrial base. While the risks of cooperation are real, the dangers stemming from a failure to cooperate are greater. Largely unreformed, underfinanced, and lacking in technological capability, PGZ’s need to modernise will not be realised while its only significant contractor, the MoD, is also its owner. Therefore, the group would benefit from smart cooperation that allowed it to gain access to advanced technologies and export markets without losing its distinctive character. Governments that are serious about national security cannot afford to let their defence industry drift, nor to rely only on orders from external contractors. Poland is still catching up with the rest of the EU and its technological base remains weak. There is a chance here for the defence industry to become an engine of broader modernisation. The government’s support for the defence industry is both well placed and no different to that expressed in other EU nations. However, a mismanaged and unreformed industry will not take off on its own while the relative security of government orders provides little incentive to modernise. While protecting its independence, the industry should enter into partnerships with foreign firms that provide not just ready-made products or assembly lines but also the kind of investment that can help modernise domestic production. The deal negotiated between PGZ and Airbus for the production of the Caracal seemed to provide such a way forward – before it was cancelled for political reasons. 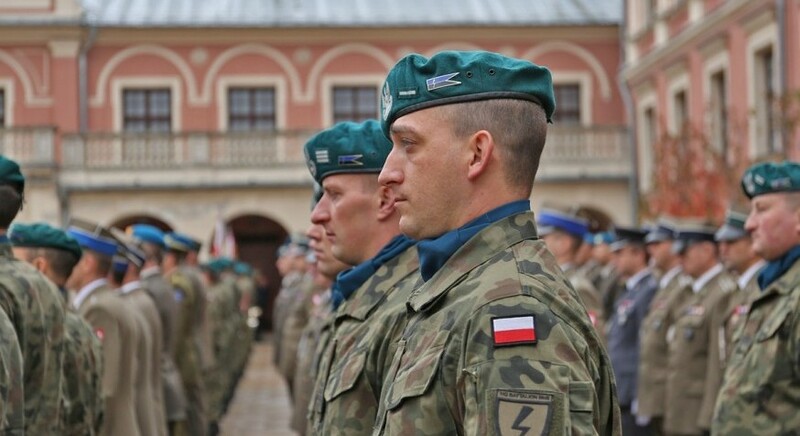 Nonetheless, Poland still has a chance to become one of the key pillars of European defence. To achieve this as its defence industry benefits from a multibillion-dollar modernisation programme, the country should start to view European defence initiatives as opportunities rather than threats. Marcin Zaborowski is the former director of the Polish Institute of International Relations (2010-2015). Under his leadership, the organisation was named the most influential think-tank in central and eastern Europe, and the most influential in the world with a budget of under $5 million (according to University of Pennsylvania rankings). He has also worked at the EU Institute for Security Studies in Paris. He earned his PhD at the University of Birmingham and is the author of numerous publications, including ‘Germany, Poland and Europe’ (Manchester University Press, 2003), ‘Poland’s Foreign and Security Priorities’ (Blackwell’s, 2007), and ‘Bush’s Legacy and America’s Next Foreign Policy’ (EU Institute for Security Studies, 2008). The author would like to thank the Konrad-Adenauer-Stiftung for its support in producing this paper. The foundation works to promote democracy, the rule of law, and human rights, and to support a thriving, dynamic civil society in Germany, Poland, and more than 100 other countries worldwide. In Poland, it focuses on strengthening European integration and fostering bilateral relations between Poland and Germany, as well as on transatlantic issues and fair, sustainable economic development. “European Defence Action Plan: Towards a European Defence Fund, European Commission”, European Commission, 30 November 2016, available at http://europa.eu/rapid/press-release_IP-16-4088_en.htm. Tomáš Valášek, “The EU’s New Defense Pact: Marginal Gains”, Carnegie Europe, 16 November 2017, http://carnegieeurope.eu/strategiceurope/74760. Geir Moulson, “G20 summit: Europe can no longer rely on US under Donald Trump's leadership, says Angela Merkel”, Independent, 6 July 2017, available at http://www.independent.co.uk/news/world/europe/g20-summit-latest-angela-merkel-donald-trump-europe-us-relations-germany-china-a7826421.html. Robin Emmott, “Trump effect? Europe’s defense spending to rise faster in 2017”, Reuters, 28 June 2017, available at https://www.reuters.com/article/us-nato-defence/trump-effect-europes-defense-spending-to-rise-faster-in-2017-idUSKBN19J0ZW. The author would like to thank Gustav Gressel for explaining some of the dynamics behind the changing views on this issue in Germany. Paweł Wroński, “Polska Grupa Zbrojeniowa – jak działa imperium Antoniego Macierewicza?”, Wyborcza, 22 September 2017, http://wyborcza.pl/7,75398,22408384,polska-grupa-zbrojeniowa-jak-dziala-imperium-antoniego-macierewicza.html. Mark Cazalet, “Poland ponders possibilities for upgrading T-72s”, Jane’s Defence Weekly, 31 August 2017, http://www.janes.com/article/73476/poland-ponders-possibilities-for-upgrading-t-72s. “Polish Borsuk IFV Unveiled? Two Variants of the New Vehicle”, 2 December 2016, Defence24, http://www.defence24.com/501697,polish-borsuk-ifv-unveiled-two-variants-of-the-new-vehicle. “Jedna z najpotężniejszych broni polskiej armii - haubica KRAB”, WP Tech, 21 November 2016, https://tech.wp.pl/jedna-z-najpotezniejszych-broni-polskiej-armii-haubica-krab-6034879129683073a. “Kormoran II Mine Countermeasure Vessels (MCMV)”, Naval Technology, http://www.naval-technology.com/projects/kormoran-ii-mine-countermeasure-vessels-mcmv/. Paweł Wroński, “Polska Grupa Zbrojeniowa – jak działa imperium Antoniego Macierewicza?”, Gazeta Wyborcza, 22 September 2017, available at http://wyborcza.pl/7,75398,22408384,polska-grupa-zbrojeniowa-jak-dziala-imperium-antoniego-macierewicza.html. Paweł Wroński, “Imperium Macierewicza przejmie premier Morawiecki? Na to wygląda”, Gazeta Wyborcza, 21 January 2018, http://wyborcza.pl/7,75398,22928277,imperium-macierewicza-przejmie-premier-morawiecki-na-to-wyglada.html. The author would like to thank Gustav Gressel for outlining this argument. “Poland picks Lockheed F-16 in $3.5B deal”, F-16.net, 27 December 2002, available at http://www.f-16.net/f-16-news-article698.html. “Technical Modernization Plan for 2013-2022”, Global Security, available at https://www.globalsecurity.org/military/world/europe/pl-budget-tmp.htm. “Raytheon gets OK for $10.5 billion Patriot sale to Poland: Pentagon”, Mike Stone, 17 November 2017, available at https://www.reuters.com/article/us-raytheon-poland-patriot/raytheon-gets-ok-for-10-5-billion-patriot-sale-to-poland-pentagon-idUSKBN1DH2KQ. Paweł Wroński, “Nagły zwrot w sprawie patriotów. MON: cena nieakceptowalna”, Wyborcza, 7 December 2017, http://wyborcza.pl/7,75398,22752258,nagly-zwrot-w-sprawie-patriotow-mon-cena-nieakceptowalna.html. “Poland cancels multi-billion euro Airbus Helicopters deal”, DW, 5 October 2016, available at http://www.dw.com/en/poland-cancels-multi-billion-euro-airbus-helicopters-deal/a-35967557. Jaroslaw Adamowski, “Poland to acquire Black Hawks, select helicopter supplier”, Defense News, 20 February 2017, https://www.defensenews.com/air/2017/02/10/poland-to-acquire-black-hawks-select-helicopter-supplier/. “Co ze śmigłowcami dla wojska? Macierewicz ‘został wprowadzony w błąd’”, TVN24, 9 December 2017, https://www.tvn24.pl/wiadomosci-z-kraju,3/szatkowski-macierewicz-zostal-wprowadzony-w-blad-w-sprawie-smiglowcow,796972.html. Ulrike Esther Franke, “Pesco, the impotent gorilla”, ECFR, 17 November 2017, available at https://www.ecfr.eu/article/commentary_pesco_the_impotent_gorilla.